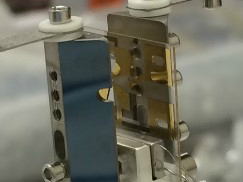 Our research focuses on the use of trapped ions for precision measurements. In particular, we are interested in optical frequency metrology, which provides the basis for diverse applications from optical clocks to tests of fundamental physics and relativistic geodesy. Below are descriptions of several of our experiments and links to some key publications. A more complete list of publications can be found here. Contact information for any current member of the group is available in the Time and Frequency Division Staff Listing. Linear RF Paul trap used in an aluminum ion optical clock. 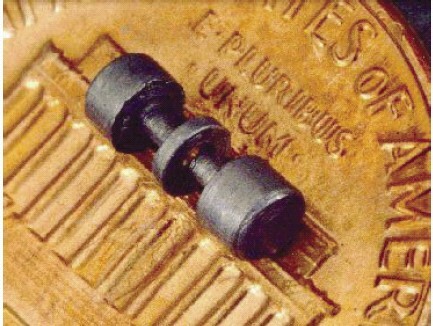 This project uses techniques from quantum information science to enable precision metrology. We use the dipole-forbidden 1S0 - 3P0 transition in singly-ionized aluminum as an stable frequency reference (natural linewidth ~8 mHz), which we detect using quantum logic spectroscopy with a second ion held in the same trap [1, 2]. Current efforts focus on reducing systematic effects, such as relativistic shifts due to time dilation, and increasing clock stability by use of quantum entanglement and classical correlations . Electrode structure for the spherical Paul trap used in the Hg+ optical clock. 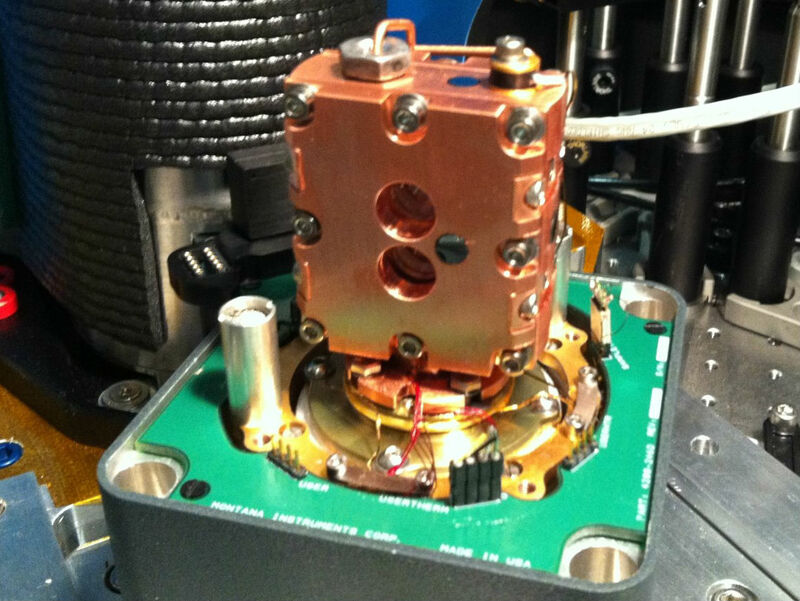 The mercury ion optical clock, operating in a cryogenic environment, was the first to demonstrate performance exceeding that of the microwave clock standards and continues to be one of the best-characterized optical clocks [1, 2]. 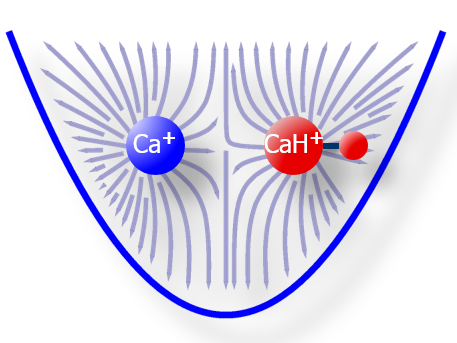 It is particularly interesting for the strong dependence of its frequency on the fine-structure constant, which can be exploited to test for drifts of the fundamental "constants" . Molecules, in comparison to atoms, exhibit more complicated internal structure, which presents both experimental challenges and great opportunities for exploring new physics. In this project, the tools of quantum information processing are applied to performing precision measurement and quantum control of a single molecular ion . Cryogenic housing for the spectral hole burning experiment. Inside the copper chamber are two Eu3+:Y2SiO5 crystals, which are used for frequency stabilizing a laser via absorption spectroscopy. As a key enabling technology for many high-resolution spectroscopy experiments, we are developing state-of-the-art frequency-stabilized lasers with linewidths in the mHz regime . One project currently underway investigates laser stabilization using a technique called spectral hole burning [2, 3]. Another project pursues laser stabilization using a cryogenically cooled optical cavity.